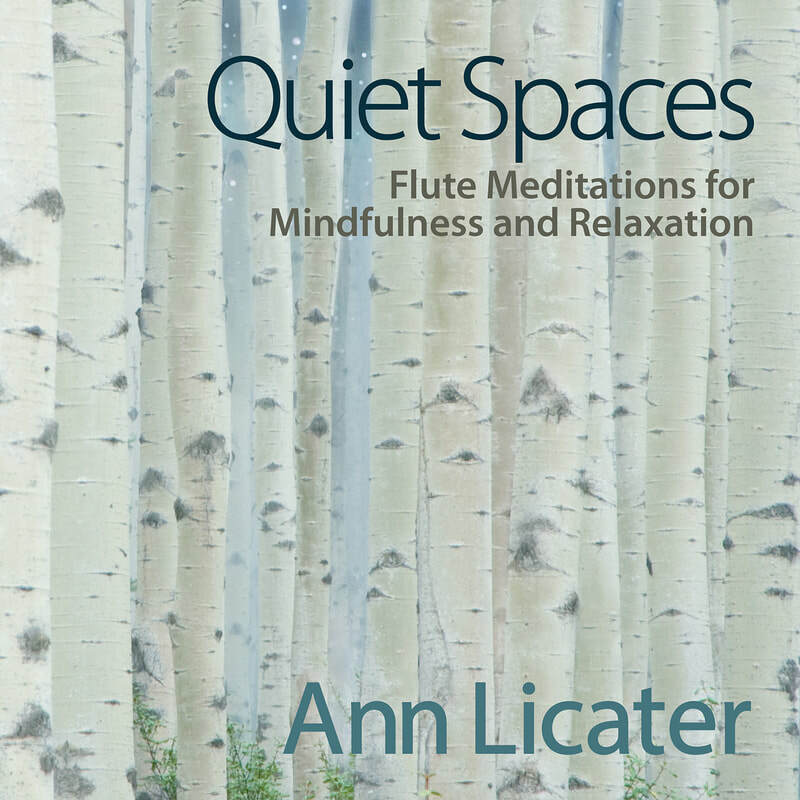 NPR Syndicated show (200+ stations) "Hearts of Space" features 3 Tracks from Quiet Spaces: Flute Meditations for Mindfulness and Relaxation. 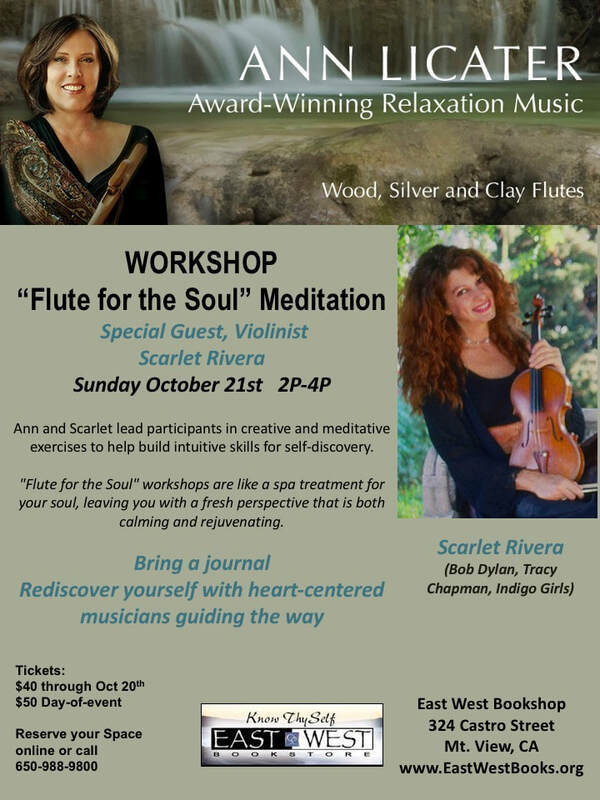 • October 19, 2018 is the official release date. 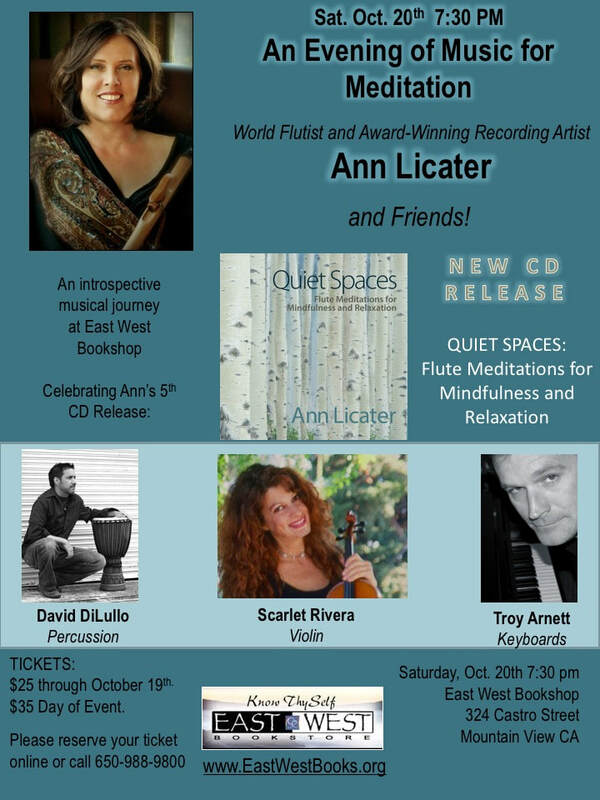 See the press release explaining more about Ann's music and why her fifth CD, "Flute Meditations for Mindfulness and Relaxation" is intended to be listened to in its entirety as a "inner-journey" for well-being.